Industry Links | Water Management Inc.
Alliance for Water Efficiency The Alliance is a non-profit organization dedicated to the efficient and sustainable use of water. Located in Chicago, the Alliance serves as a North American advocate for water efficient products & programs, and provides information and assistance on water conservation efforts. 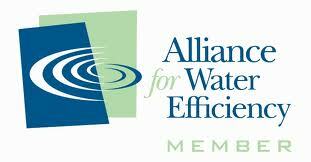 Water Management Inc. has been a charter member since 1998. This site, Water Conservation at Home, features a very informative article to explain water conservation in the home and its benefits to children. It also contains links to several great sources for both children and adults. Thanks to Daly City Middle School students for the site recommendation! Toiletology Toiletology 101 is a free online toilet repair course. Since 1996 hundreds of students have filled the classes to learn the how-to of repairing toilets. Water Management Inc. has sponsored this website for over a decade. This is one of our favorite sites to learn about toilet history and current products. AWWA The American Water Works Association is an international nonprofit scientific and educational society dedicated to the improvement of drinking water quality and supply. Water Management Inc. has several employees that sit on member committees for the Water Conservation Division. Our President, Russ Horner, is a Trustee for the Codes and Standards Division. CAI The Community Associations Institute (CAI) provides information and education to community associations and the professionals who support them. Water Management Inc. is a Business Parter in the DC, Atlanta, and Dallas metropolitian areas. AOBA The Apartment and Office Building Association of Metropolitan Washington (AOBA) is the leading membership organization representing commercial and multi-family residential real estate in the Washington, DC area. Serving members for more than 35 years since its establishment in 1974, AOBA continues to protect and enhance the value of its members’ investments through effective leadership and advocacy, information exchange, and professional development. 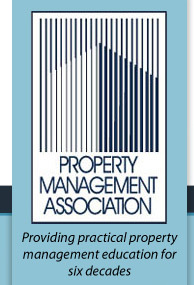 PMA Established in 1952, the Property Management Association (PMA) is the largest real estate management association in the national capital area. Water Management Inc. is a current corporate sponsor and member.PMA represents nearly 1,000 national capital area property management professionals who are responsible for an estimated 750,000 residential units and in excess of 120 million square feet of commercial space. EPA WaterSense WaterSense helps people save water with a product label and tips for saving water around the house. Products carrying the WaterSense label perform well, help save money, and encourage innovation in manufacturing. All products that Water Management Inc. recommends are WaterSense products. 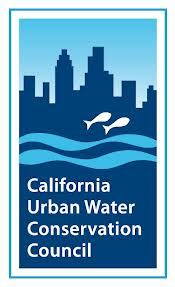 CUWCC The California Urban Water Conservation Council (CUWCC) is a partnership of water suppliers, environmental groups, and others interested in conserving California's greatest natural resource - WATER. Water Management Inc. is a Group 3 member. The California Urban Water Conservation Council was created to increase efficient water use statewide through partnerships among urban water agencies, public interest organizations, and private entities. Energy Service Coalition The Energy Service Coalition is the only public and private coalition of individual energy experts focused on the promotion of Guaranteed Energy Performance Contracting. Water Management Inc. belongs to several chapters of this coalition, including the National, Minnesota, Georgia, and DC chapters.